Red Hat CloudForms Hybrid Cloud management Focus Training Services. 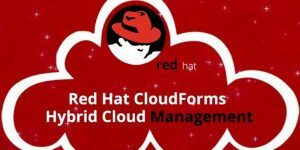 Red Hat CloudForms Hybrid Cloud Management teaches you how to perform an initial configuration and setup of Red Hat CloudForms. This course can also help you in your preparation for the Red Hat Certified Specialist in Hybrid Cloud Management Exam (EX220). For Applicable exam fees CloudForms Hybrid Cloud Management, feel free to call on 8956930893 / or You can also fill up this enquiry form with your information and we will get back to you.